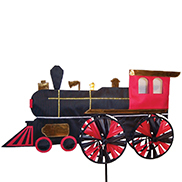 Train Town loves children and offers quality toys for ages 3 and up. Playtime is fun and rewarding with educational toys and long-lasting puzzles. See a virtual parking lot of die-cast cars, trucks, buses and aircraft in ever-changing types and sizes. Visit us often for the latest selection. 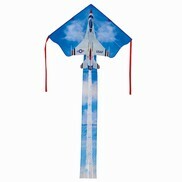 The sky's the limit when it comes to kite flying. 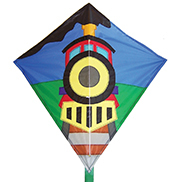 Train Town carries quality kites in several sizes and styles for those easy, breezy kite-flying days at the park or the seashore. Collectors appreciate quality collectible die-cast aircraft and vehicles from WWII and other conflicts, plus re-creations of vintage vehicles from the UK and other countries.